Baltimora was an Italian New Wave band popular in the mid and late 1980s. Jimmy McShane, a Northern Irish dancer and singer, was the frontman of the project and Maurizio Bassi sang lead vocals on all the group’s songs. 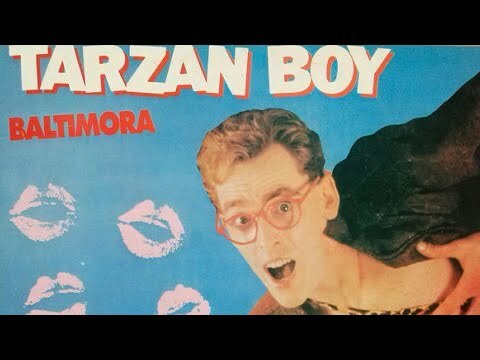 Baltimora is often considered a one hit wonder because none of their songs came close to the international success of their first single Tarzan Boy, which is also the video below. Luciano Pavarotti (October 12, 1935 – September 6, 2007) was an Italian tenor, who crossed over into popular music and became one of the world’s most famous vocal performers. He was one of The Three Tenors and was well known for his televised concerts and media appearances. Pavarotti was also noted for his charity work benefiting refugees, the Red Cross and other causes. The video below is of Pavarotti signing Ave Maria with Bono of U2. Anamor is an Italian singer and actress who is pursuing a singing career in Spain. She debuted as actress in the 1984 Sergio Leone movie, Once Upon a Time in America. She has her own official website fans can visit for more information and updates on the singer. Alan Sorrenti was born in Naples on December 9, 1950 and is an Italian singer and composer. His mother was Welsh, and he was raised in Aberystwyth, Wales for much of his childhood. You are currently browsing the Italian Music weblog archives for June, 2008.